Hamilton County Commissioner Steve Dillinger talks on county finances, infrastructure, roads, tourism and other 2019 projects in his 30th annual State of the County address. For three decades, Hamilton County Commissioner Steve Dillinger has delivered the State of the County address to the local business community. Last month, at the Noblesville Chamber of Commerce again hosted Dillinger to highlight accomplishments of 2018 and highlight 2019 projects to a record crowd of more than 400 people at Embassy Suites Conference Center in Noblesville. Dillinger began by introducing new Sheriff Dennis Quakenbush and Superior Court 1 Judge Mike Casati. He also presented retired Judge Steve Nation with the Hamilton County Continental Award, the highest honor any citizen can receive from the county. He then addressed the topics of county finances, infrastructure, tourism and projects. Dillinger said the county is the richest in the state, with a $90,582 median household income. The state average is $52,182 average. The county also has a 5 percent poverty rate, compared to the state average of14.6 percent. Moreover, the county’s median home value is $240,000, which is $110,000 lower than the state average. Dillinger also said the county has enjoyed a 12.2 percent growth rate in the past five years, which he attributes to a higher concentration of good-paying jobs, short commuting distances and connectivity to a major metropolitan area. Dillinger spent much of his time talking about road projects around the county, primarily the Ind. 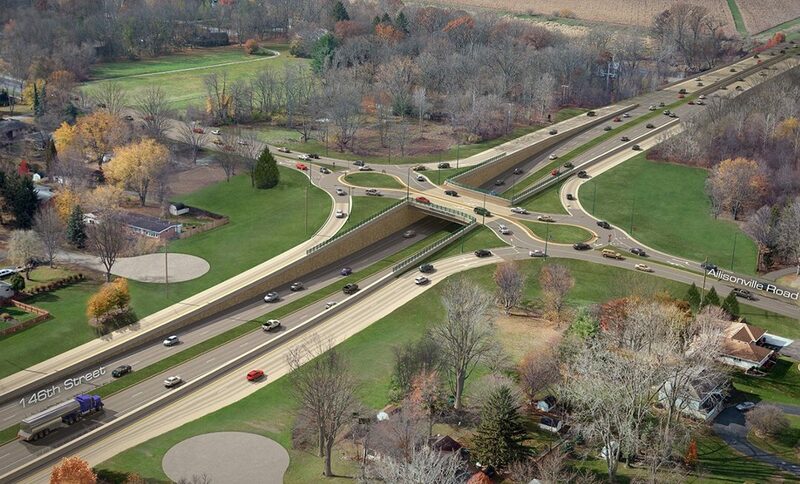 37 corridor project, which will convert the intersections to no-stoplight, dogbone-style roundabouts over the highway. Major work on intersections along Ind. 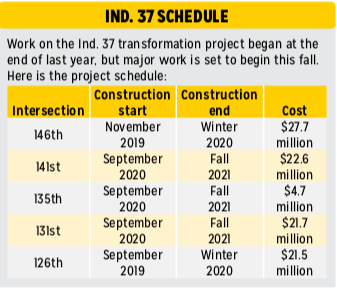 37 will begin in September and November, and first final work will be complete in winter 2020. 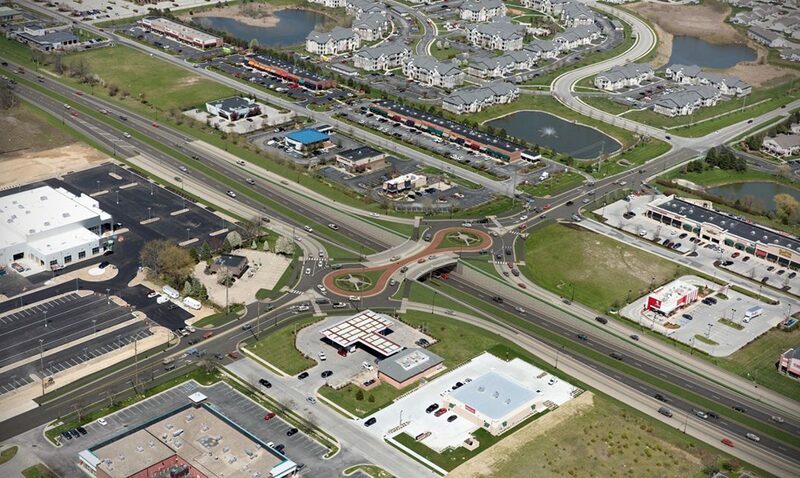 Construction at Allisonville Road and 146th Street also will begin this fall and will be complete in winter 2020. Another large road project is at 146th Street and Allisonville Road. Construction on the intersection will begin in September 2020 and will be completed in fall 2021 at a cost of $22.6 million. In Noblesville, Dillinger identified the extension and expansion of Pleasant Street as a major need. Engineering is mostly complete, Dillinger said, and a study shows that with the completion of Phase 1, there will be a 29 percent reduction in traffic between Eighth Street and River Road. 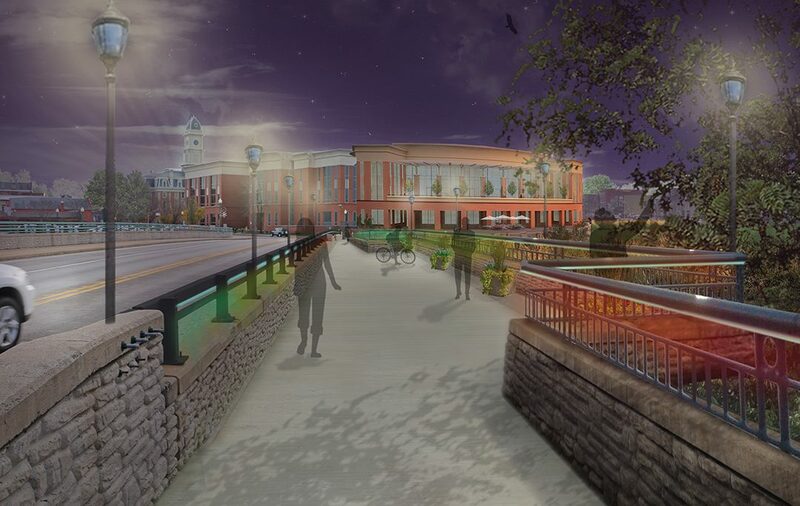 Downtown Noblesville’s Logan Street bridge project is set for completion in September and will widen the bridge with pedestrian pathway over White River, connecting the downtown square to Federal Hill Commons. In downtown Noblesville, the county is working with the city to widen the Logan Street bridge to create a pedestrian bridge. Construction began in October 2018 and will be complete in September at a cost of $4.3 million. 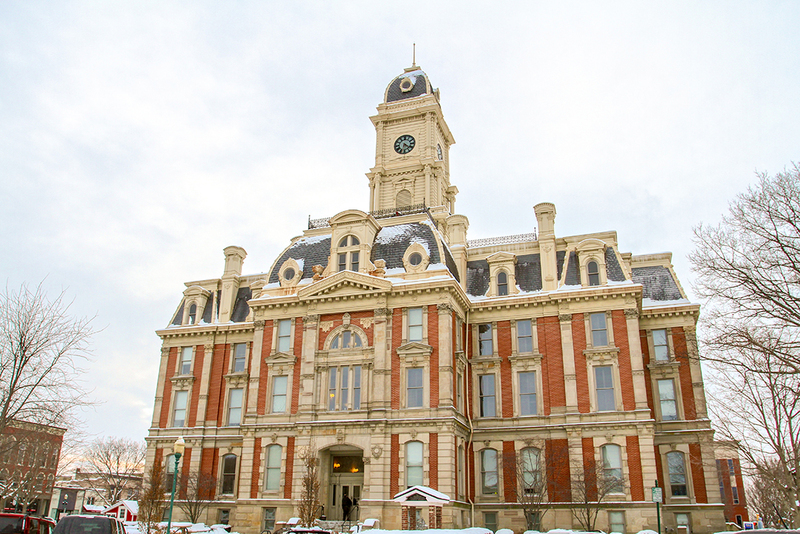 According to data from Hamilton County Tourism, Dillinger said visitors to the county and overall spending in the county is up. In 2018, more than 4 million visitors spent approximately $820 million – an 11.1 percent increase from the previous year. More than $1.5 million hotel room nights were sold, and since 2005, nearly $10 million has been re-invested locally. In addition to extra beds, the Hamilton County Jail expansion will add an interior recreation area, a classroom and a medical support area. The $13.5 million Hamilton County Jail expansion project should be complete this month, Dillinger said. 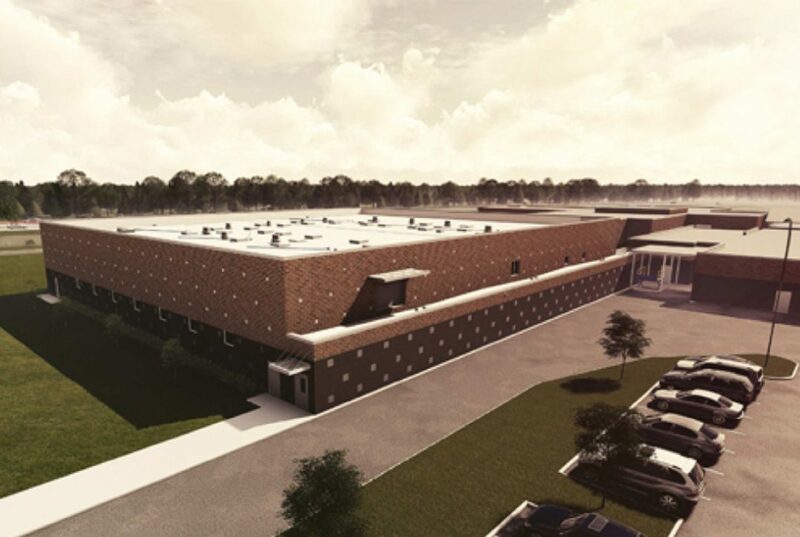 The project broke ground in September 2018 and adds 120 to 136 beds for an increase of inmates the county has seen since House Bill 1006 passed in 2016. The bill requires Level 6 felons to be incarcerated in the county in which their crime was committed, rather than be transferred to a larger prison. Without the expansion, the jail’s capacity is 294, and Dillinger said inmate population is nearing 400. Dillinger said the long-awaited expansion of the Hamilton County Government and Judicial Center is still on hold after bids came in higher than expected. He said the project will continue to be looked at. Construction on the 141st Street and Ind. 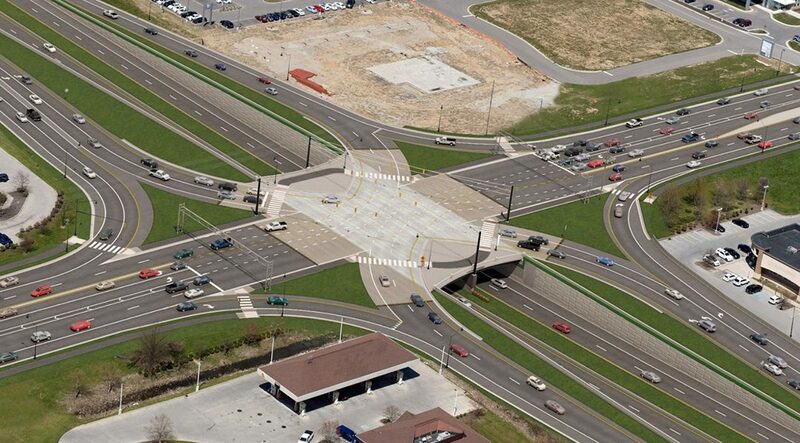 37 intersection will begin in September.